Annotation: Short lessons on essential grammar topics include a reproducible passage that highlights key skills in context. 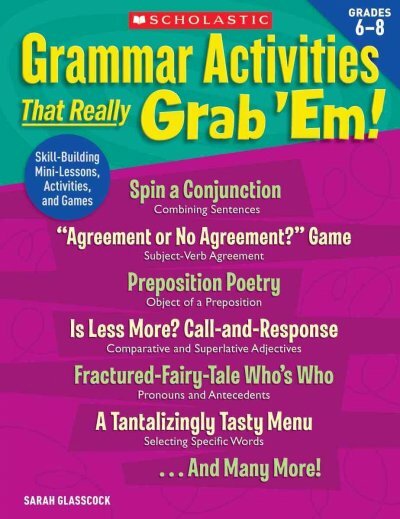 Engaging, low-prep activities, such as Spin-a-Conjunction, Preposition Poetry, and ?greement or No Agreement?Â·Game Show, motivate students and help them apply what they?e learned. Lessons and activities cover parts of speech, subject-verb agreement, antecedents, phrases and clauses, and more!